History is the story of people. 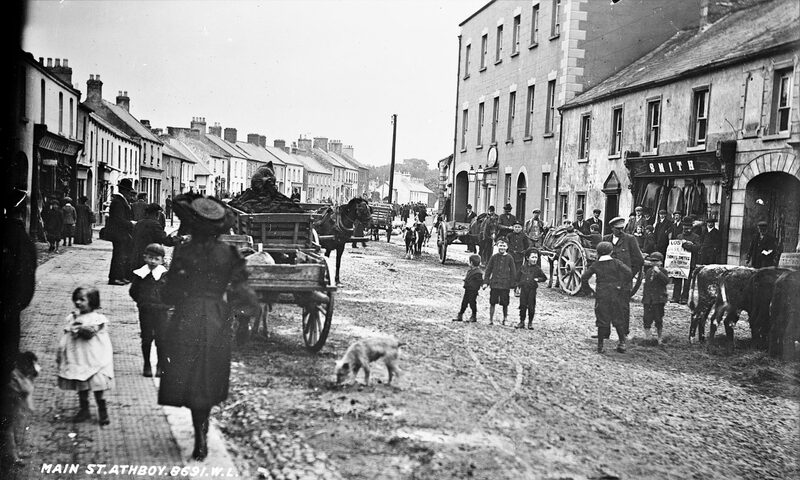 Local people of Athboy have kindly donated these photographs to Athboy 100 to help preseve the stories and the people captured in these images. An effort has been made to identify as many people as possible. If you find any errors in our captions, or have any images of the town or it’s people please contact us. Charlie Prendegast’s Harvest Dance circa 1950s. Courtesy of Des White. Athboy O’Growney Senior Hurling Team. Courtesy of Des White. Athboy Youth Hurling Team 1931. Courtesy of Des White. Athboy Hurlers circa 1920s – Paddy Carey, Mick Barrett, James White. Courtesy of Des White. Athhboy Infants, September 1919. Courtesy of David Gilroy. John Brown, Cobbler. Courtney of Des White. Athboy Macra na Feirme 1973 All Ireland Light Entertainment Winners. Back L-R: Liam Hopkins, Leo Wright, Ebbie Ennis, Des White, John McCormack, Richard Sheridan Front L-R: Marion McGuire, Claire Miggin, Eamonn Cassells, Josephine McDonagh, Beda Dunne. Courtesy of Des White. The Athboy group won the all-Ireland light entertainment competition in 1973 and as a result were invited to represent Ireland at the European Arts Festival in Germany, The group spent seven days in Germany in Sept 73 where they competed against seventeen other European countries. Athboy Boy’s National School. Courtesy of Des White.